You may not have heard, but these days are tough days for your local dairy farm families. Milk prices are low and supply is long. Milk being used as a loss-leader (an item sold far below cost to lure people into the store) doesn’t just hurt retailers, and dairy processors… it also hurts your local dairy farmers. Many farms aren’t sure they will be able to make it much longer. Dairy papers are already filling up with auction listings, and one milk Co-op even sent their farms mental health and suicide prevention information. Recently I received a call from a fellow multi-generational dairy farmer who decided he just couldn’t continue farming. He wanted to find a good home for not only his cows, but also some of his employees. For those not familiar, THAT is what a family farm is about. Generations of people working hard and building a legacy for the next generation. Years and years of taking care of the land and caring for the animals since the day they were born. You could likely understand why these people get attached and have a hard time selling out. For these family farmers, it is far more than business – it is a way of life, and selling out is like losing a piece of their lives. You might wonder, what does this all have to do with me, the consumer? Some folks are suggesting to boycott certain brands of dairy, or even boycott dairy altogether. Boycotting dairy means not just missing out on great tasting nutritional food for your family, but also turning your back on a hard working farm family somewhere around you. So, do you want to help these families out? Buy dairy. It’s as simple as that. Today’s dairy case offers many choices to accommodate the different consumers’ needs and wants. Having trouble deciding which one to buy? Perhaps ask your local retailer or even your local dairy farmer what they would advise. They are, after-all, the ones who put hours and hours of hard work into it. Another way to ensure you are supporting your local farm families is by checking out the web. 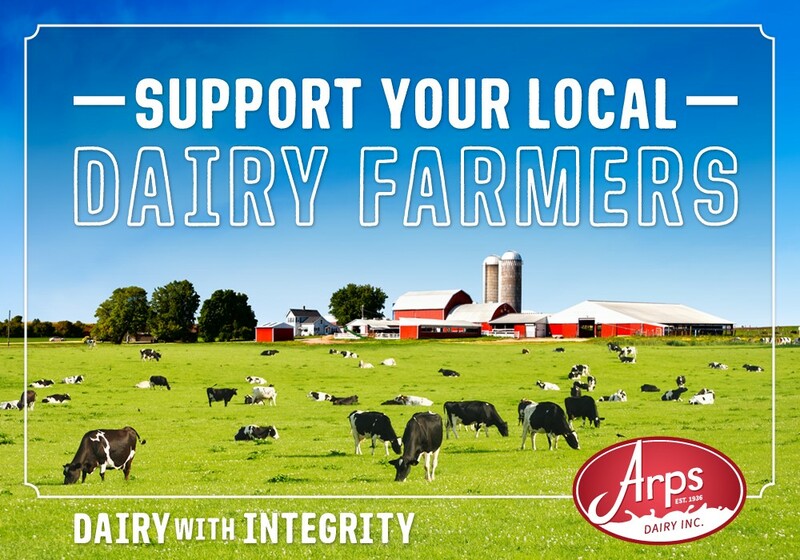 Checkout your favorite dairy brand’s website and see if they share where their milk was produced and who those farm families are that you support when buying their product. As a dairy farmer myself, I must admit it’s both humbling and rewarding when people support your product. If your retailer doesn’t offer local dairy products, please don’t boycott dairy all together. Supporting a farm family anywhere is much better than not supporting dairy at all. Finally, if you’re not a dairy consumer yourself, maybe you could help out others. Buy someone a gallon of milk or donate some to your local food pantry. It will be greatly appreciated by a family and a dairy farmer somewhere around you, I can assure you of that!